SKU: SPGT14UPG. Categories: Chevy Cruze 1.4T, Chevy Sonic 1.4T, Chevy Trax 1.4T. Tag: SuperGT Turbo Upgrade. We start with a stock Garrett MZGT1446MZGL turbo and then we machine the compressor housing to accept our proprietary compressor wheel upgrade and then clip the turbine wheel reduce exhaust back pressure. A direct bolt-on solution that allows us to increase the maximum boost and airflow over the stock turbo by over 15%. 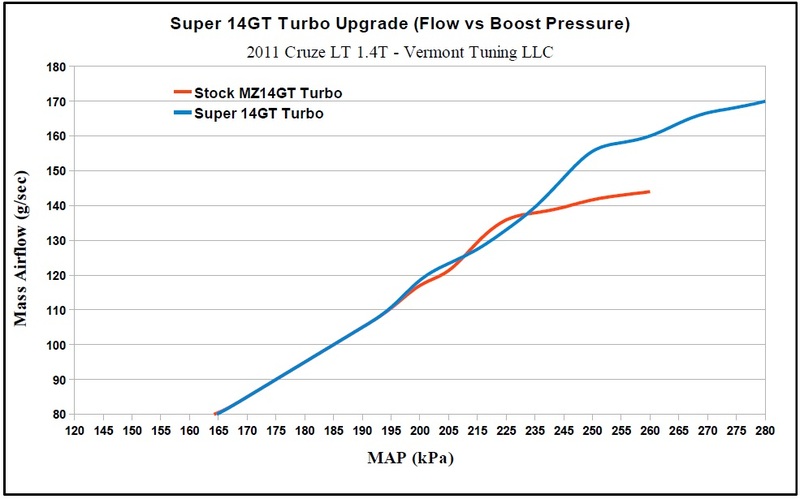 To properly utilize this upgrade you also require either methanol/water injection or E85 fuel and a custom tune update. Additional supporting mods such as upgraded valve springs and forged pistons are also recommended. 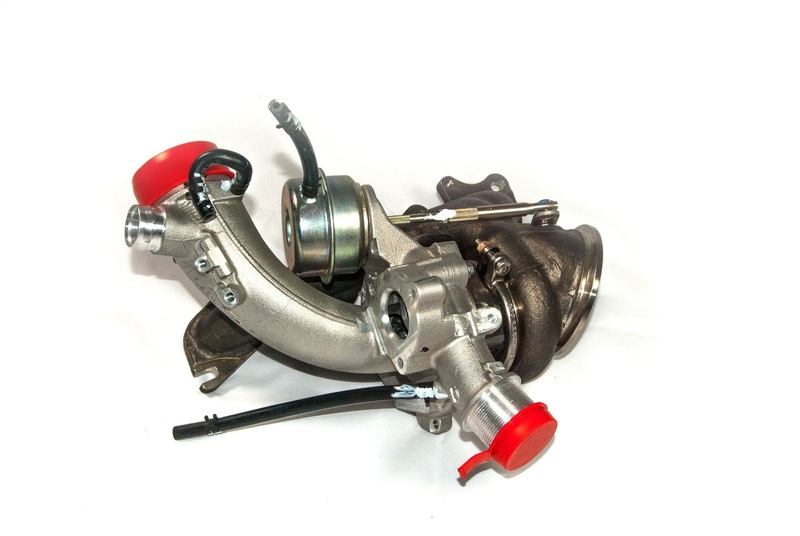 This turbo is capable of running 28 psi of boost to a 7000 rpm redline on the 1.4T motor. A core deposit of $400 is required and will be added to the price when you check-out. The core deposit will be refunded after we receive your used turbo core. The returned turbo must be rebuildable in order to receive the refund. Please contact us if you have any questions.